The 2019 Loan Charge – A piece of legislation that seeks to historically tax a proportion of UK freelance workers for employment arrangements they used over the last twenty years. This is estimated to affect around 100,000+ workers across all sectors. Professionals, who sold tax avoidance schemes that failed over a decade later, are leaving thousands facing six-figure bills and more importantly, they are still promoting “high-risk” tax dodging plans under different company names. For those affected, the Finance (N0.2) Act 2017 contains some of the most significant changes to tax legislation recently – the 2019 Loan Charge. HMRC is continuing to step up their efforts to recuperate unpaid tax through schemes that they deem as tax avoidance or tax evasion. The 2019 Loan Charge may be about to dig up some long forgotten skeletons in many closets. How much is the Government looking to recuperate? Unpaid taxes and schemes designed to fool the taxman are costing the Government billions of pounds every year. Since 2010, HMRC has introduced over 100 processes aimed to reduce tax avoidance/evasion and it believes these have helped “secure and protect over £175 billion in tax that would of otherwise have gone unpaid.” The Finance Bill 2017/18 will look to recover tax and reduce further tax avoidance and evasion to the value of an estimated £1.2 billion. Since time immemorial, devices have been used to provide rewards and incentives to employees. Clearly, tax has been a key point, even if other factors may also have been in play. The 2019 Loan Charge has been introduced by HMRC to recover unpaid taxes by people who have used disguised remuneration schemes involving loans since 6th April 1999. People will be required to pay back what HMRC deems them to owe by 31st January 2020. What schemes are associated with the 2019 Loan Charge? The 2019 Loan Charge is targeting disguised remuneration schemes that have involved loans. These include the likes of, but are not limited to, Employee Benefit Trusts (EBT) – such used by Rangers Football Club, Employer Financed Retirement Benefit Schemes (EFRBS) and Contractor Schemes or Arrangements. Company A is an owner managed medium sized business. • In 2001 it has a good year financially and generated £2 million profit before tax. • No tax is paid on the £2 million. It sounds too good to be true, but it is not, Accountant & Co have been involved in lots of EBTs and HMRC has never challenged them; the fee is a percentage of the £2 million. Company A implements the scheme in 2002 and the directors/shareholders forget about it’s existence. As a consequence of the new legislation, on 5th April 2019 the 2019 Loan Charge will apply resulting in Company A and the directors/shareholders becoming liable to pay Income Tax (IT) and National Insurance Contributions (NICs) on the £2 million loans made to the directors/shareholders. We have to go back to 1999 when Government introduced legislation called IR35 which sought to class many freelancers as employees. In the Government’s view, being a contractor was no more than a means for the employer to avoid paying National Insurance contributions. As it happens with our tax system, IR35 was complicated and vague. A grey area opened up and opportunists saw their chance. A thriving system of employment umbrellas promised employees safety from IR35’s ‘grey areas’, claiming to be approved by UK Tax Authorities, Queen’s Counsel and the top accountancy firms in the country. 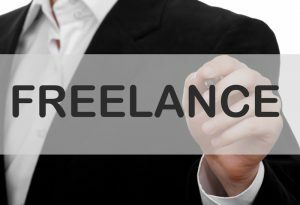 Legitimate freelancers sought advice from the legal, accountancy and tax professions across the years. All too often, advisers were happy to send their clients down this new umbrella route. Freelancers signed up in droves with all those assurances ringing in their ears. Of course, these were prolific across thee 90’s and 00’s and were used by all types of businesses – from car dealers, to finance houses and even the likes of Premier League football clubs. It usually involved the business contributing funds to a Trustee who held the money or assets for the benefit of the employees and perhaps their relatives. The Trustee would have discretion to provide certain benefits to the employee and / or his or her family. The contribution would receive a corporation tax deduction but because the funds were not unreservedly at the disposal of the individual (i.e. they hadn’t got the use of the money) there was no income tax / NIC charge on the payment. Similarly, contractors have for many years used similar schemes where the fee paid by the end user for their services was paid on to an intermediary. In turn, they usually receive a small salary or consultancy fee from the entity with the balance being paid in loans. So what is the Governments argument? The Government now claim that these arrangements ‘did not work’. Yes they were within the law but not in a way that was in tune with ‘what Parliament intended’. Year after year, tax returns were filed, dues paid and arrangements disclosed to UK Tax Authorities. In many cases, the most you got back from HMRC was a tax rebate! Over the years, HMRC have allowed thousands to accrue a tax debt that was yet to be invented. Years of Government failure to take schemes to court meant they needed a quick fix. So HMRC requested the Government implement a new retrospective charge. A charge which taxes all amounts received as far back as 1999. A settlement agreement with HMRC – Individuals must register their intention to settle with HMRC before 31st May 2018. Settling will be the best option if you want to keep on the right side of HMRC, but you must be prepared for a tough time ahead because HMRC will not be providing people with any discounts. Waiting and doing nothing – as HMRC have proven, it’s efforts to catch tax avoiders are only getting better. 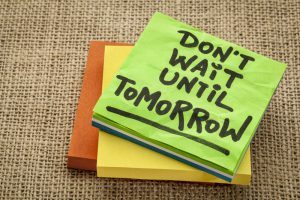 Therefore, if you decide to wait, it is unlikely you will be waiting long until HMRC make formal contact and hit you with the 2019 Loan Charge. Challenge the advisers – You will need to think long and hard before you decide to start challenging their involvement with a loan scheme. HMRC will not allow ignorance as an excuse to get out of paying the outstanding tax. It may be the case that an agency forced you to use a loan scheme and if this is true, you may be able to file a professional negligence claim. 2019 Loan Charge – Another harpoon for HMRC. If you have used remuneration tax planning involving loans (after 6th April 1999) and choose not to settle with HMRC using the current disguised remuneration settlement opportunity, then any outstanding loans as at 5th April 2010 will be subject to PAYE and NIC – with a few limited exceptions – under legislation enacted in the Finance (No.2) Act 2017. The charge falls in the 2018/19 tax year and so is payable by 31st January 2020. Under the legislation there is also a requirement for employees to report details of loans to their employer or HMRC. The required information must be provided before 19th April 2019. Whilst the loan charge is still some time away, the disguised remuneration settlement opportunity will close soon to registrations (31st May 2018), and if schemes are not settled using the opportunity, taxpayers could still be hit with a PAYE and NIC charge in 2019 in relation to the planning they have undertaken. If you are potentially getting into this situation, general advice out there is that consideration is given now to the options available, which includes settlement. There are a multitude of sites offering advice and assistance to those anticipating a problem. Look into everything now, before it really is too late.